Injury concern has only played two competitive matches since the end of the World Cup Qualifier last year due to recurring shoulder issues. He made his comeback in the recent ODI series against Ireland, taking five wickets across the first and third ODIs in the series to highlight the importance of him maintaining 100% fitness leading into the World Cup. Possible wildcard . 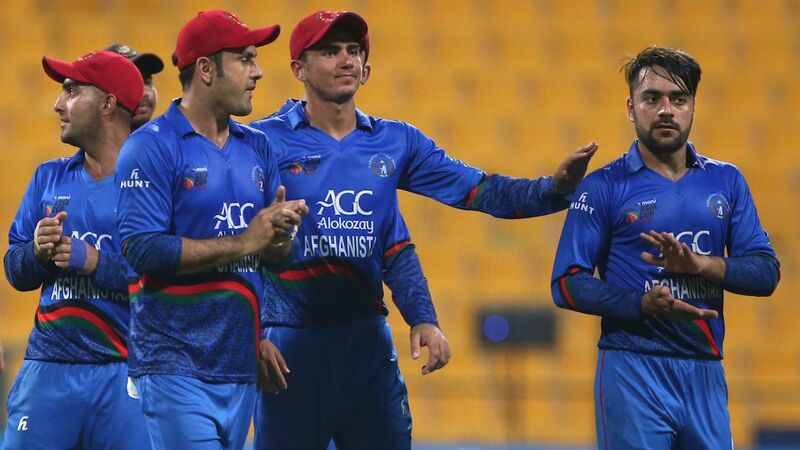 The left-arm quick was Afghanistan's leading wicket-taker at the 2015 World Cup with 10 scalps, but has only played eight ODIs since then. However, the lack of a quality experienced alternative to complement Dawlat in the pace department could see Shapoor on the plane to England. The Big Question How to fit in and ? It's been assumed they will walk back in and not too long ago it probably wouldn't have been a tough question but now there will be a couple of players harshly done by. With possibly their best-ever collection of players in years, Bangladesh will go to England with high hopes. There's belief that stretches as far as the cup in hand, which stems from their strong performances since the 2015 World Cup. But no Bangladesh cricketer in his right mind will say it out aloud. Led by the tireless , the side can call upon several match winners these days. Shakib Al Hasan, Tamim Iqbal, Mashrafe, Mushfiqur Rahim and Mahmudullah will be leading the side in different areas. Possible wildcard So excited is everyone around the World Cup that BCB president Nazmul Hassan last week read out the 15-member squad in one of his regular press briefings. Given his power, it is unlikely going to be any different as the two appointed selectors - Minhajul Abedin and Habibul Bashar - have usually listened to his demands. But still, , who made 349 runs against Zimbabwe in October last year, could feature in the side as a back-up batsman even though he didn't tour New Zealand. Injury concern , who has emerged as England's white-ball attack leader in recent seasons, has been managing a chronic knee injury and will need careful handling. Possible wildcard is lurking on the fringes of English selection after completing his residency qualification, and as with Kevin Pietersen ahead of the 2005 Ashes, there's risk and reward to weigh up for the selectors, who covet his outstanding allround attributes but fear unsettling the tight-knit members of a squad that has come together superbly since their nadir in 2015. The ODIs against Ireland and Pakistan in early May will be a chance to test his 50-over mettle. Injury concern 's relapse after a major back injury last year was a matter of concern, but he has pulled up all right in the IPL. Possible wildcard has entered the equation only this year, and goes against the MS Dhoni school of World Cup selection of taking players who have played at least 60-70 matches. At nine matches old, Vijay has presented India a temptation, which keeps getting stronger with every strong IPL performance from him. The Big Question It appears it will come down to v for the second spin-bowling position. Sodhi is the more attacking option with the ball but brings less with the bat and in the field. Possible wildcard It has been reported by Stuff.co.nz that is now favoured to be in the squad as back-up wicketkeeper after an injury to Tim Seifert. The Big Question Can Pakistan touch 325 batting first? Do they have an ability to chase down anything over 300? Another riddle is 's selection. He is averaging 92.60 in 14 games since he played the Champions Trophy final against India. The spotlight on Amir increased during the series against Australia when he was dropped. Pakistan doesn't have an experienced bowler like him at their disposal but it is increasingly difficult for selectors to pick him. Injury concern was an automatic selection until he sustained a hand injury during the PSL and missed the entire season. He underwent two surgeries in London to recover from a fractured thumb and is racing against the clock. He is likely to go through a fitness test on April 14 and he is very much under the radar for the middle order slot. Possible wildcard has impressed many with his genuine pace. He shot to prominence after a productive PSL season with Quetta Gladiators and was named for series against Australia and played three matches with limited success as he bagged just two wickets. He has already withdrawn from the Pakistan Cup and will be residing at NCA to work on his fitness. Injury concern Both and are missing out on this year's IPL after picking up injuries during the home series against Sri Lanka. While neither of the injuries - back and shoulder, respectively - are especially serious, Ngidi had only just returned from a three-month lay-off for knee ligament damage he picked up during South Africa's trip to Australia late last year. Injury concern is struggling to make the World Cup after sustaining a bad hamstring tear in South Africa. And although Angelo Mathews should technically have recovered from his latest injury, his own hamstrings seem so fragile that a bump from a pothole on the way to the stadium might be enough to cause a strain. Possible wildcard Every series a new Sri Lanka ODI player produces good performances in losing causes. Most recently, it is slower-ball specialist who has announced himself, doing a half-decent job with the ball, but really impressing with the bat - his big blows from the lower middle order earning him a reputation as one of Sri Lanka's cleanest hitters. Big Question Can keep doing it in boundaries and does the great opening batsman have one last international hurrah in him? He doesn't do much running - between the wickets or in the field - but his destructive form against England fired a warning shot. Injury concern West Indies would like to get back in the middle order but it's a question of whether his knees can withstand 50 overs.